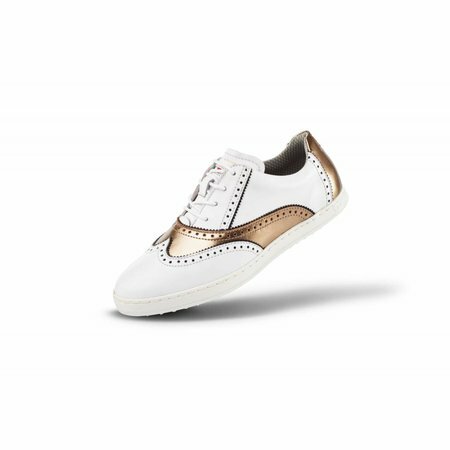 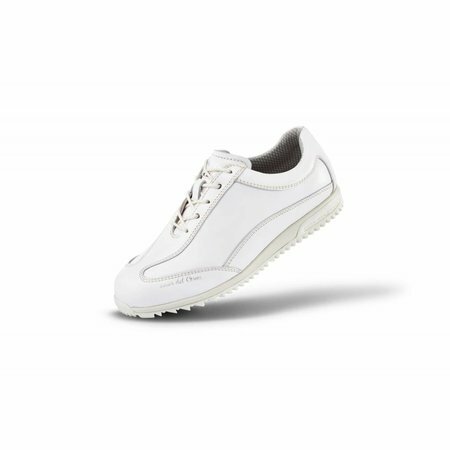 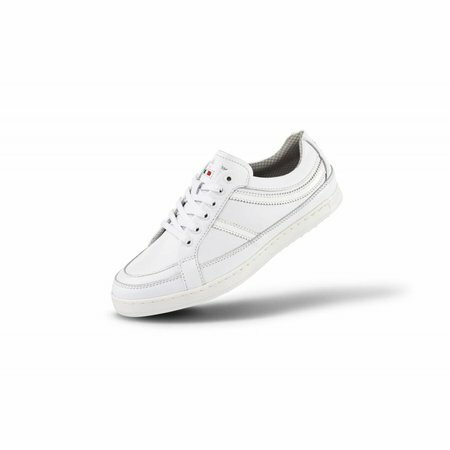 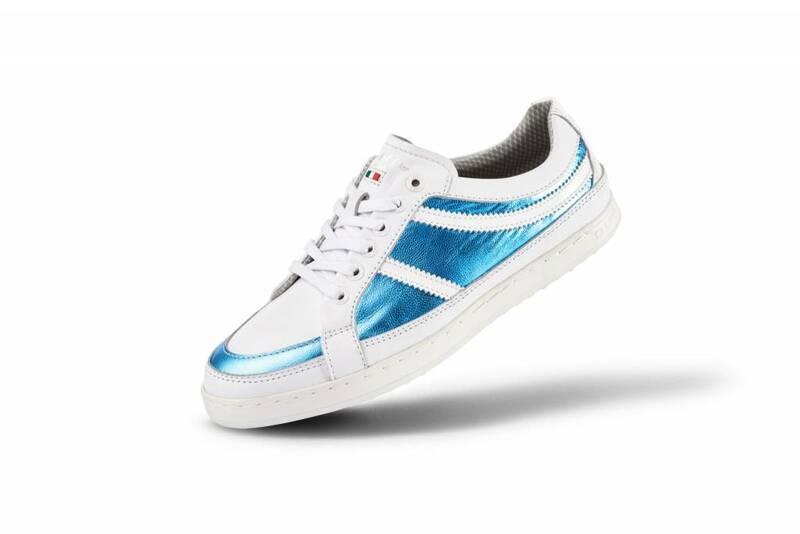 The classic white Duca del Cosma ladies golf shoe Capri is made with of a soft, full-grain leather with patent leather overlays. 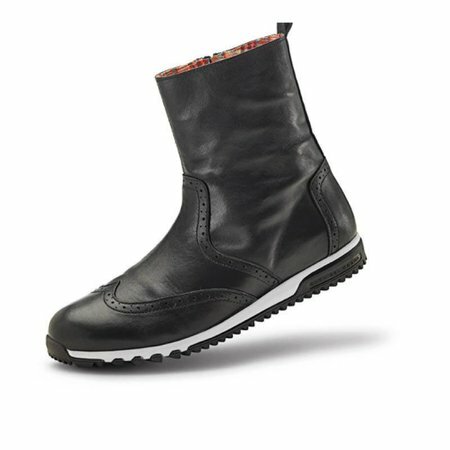 The Capri is fitted with an ergonomic, comfortable and removable Soft PU insert sole. 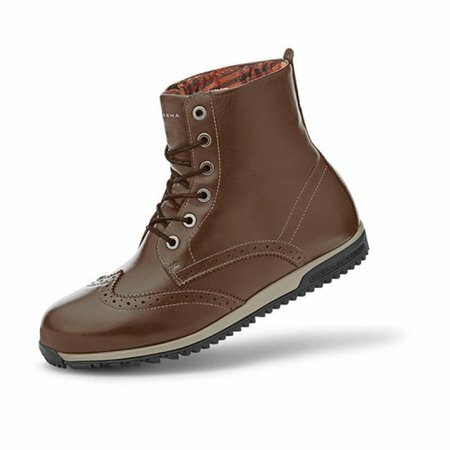 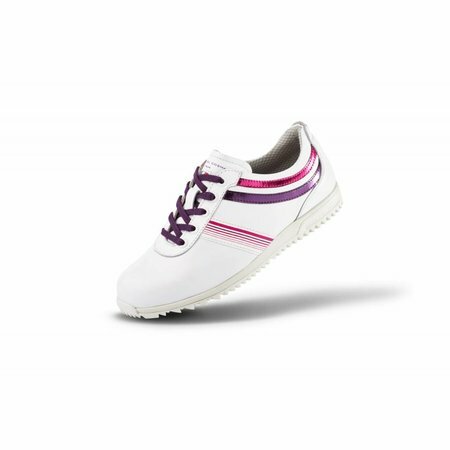 The Capri has the fashionable Duca Outsole which is designed to be used on and off the golf course.